Allow me to first make it clear that we are GARDENERS, with a Passion for growing Beautiful Flowers. 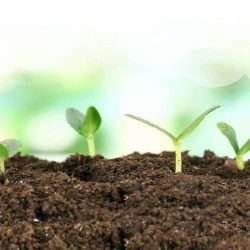 The purpose of thie Article is to keep Gardeners Properly Informed about their Rights and Responsibilities as Growers. 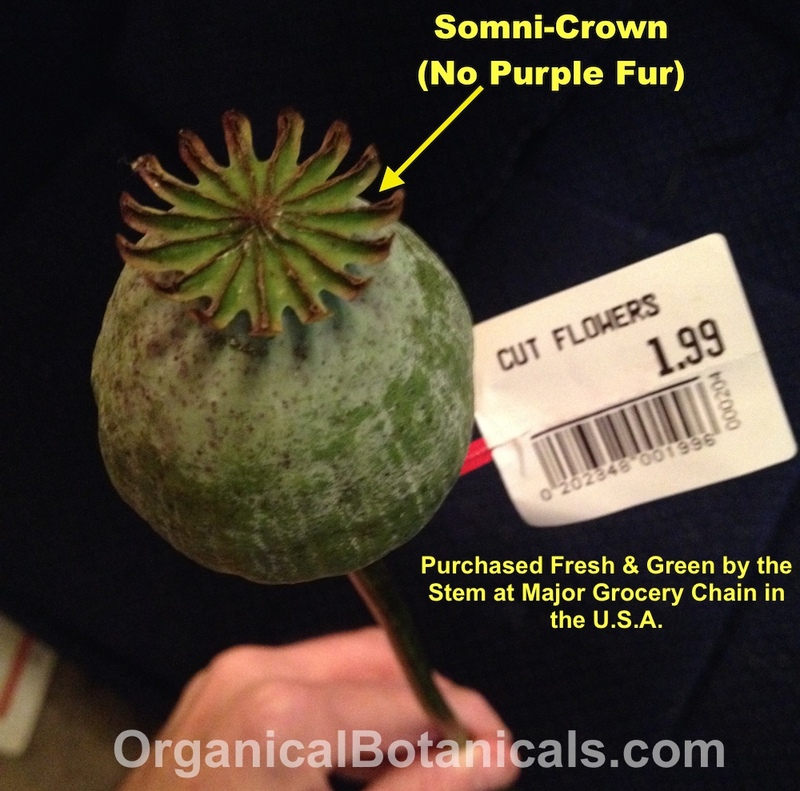 Our hope is to provide some insight, as to why any confusion exists regarding the Papaver somniferum Species. Q: “What kind of Poppies Produce or Make Opium”? YES!! It’s perfectly LEGAL to Grow Papaver Somniferum Poppies for Aesthetic and/or Culinary purposes. NO!! It’s NOT Legal to Grow Opium Poppies for the sake of Harvesting the ‘Opium’ or via ‘Poppy Straw’ method. BUT We’re just Gardeners! Should we worry? I’M CONFUSED. So, the Info that one may find while Researching Poppy Laws, may sometimes have to do with their Intent. But you can even Buy LIVING Papaver Somniferum PLANTS in the USA, if you look around at your Local Nursery or Grocery Store. In fact, here’s a photo of one I purchased at my Local grocer (who also happens to be a Major Chain). This wasn’t just a one-time thing either. They sell them every year and have a variety of them. As do 3 other Nurseries in my area. Papaver ‘ORIENTALE’ | NOT ‘Somniferum’!! There are usually TWO Opposing Opinions (below). Pay close attention to the ‘Wording’. It all has to do with the grower’s ‘Intent’. There is most definitely a ‘Grey Area’ of Confusion on this Matter – and it seems to be quite the Conversation on every Gardening Blog, Video Comment, or Forum I read these days. Several Conflicting Sources of Information on the Web, that people StumbleUpon while Searching, for Example:, ‘Tips about Growing Somniferum Poppies’ in their area (USDA Zone, State, or Country). So, depending on how one might go about their ‘Web search‘, will variably effect the kind of Info that gets returned in their search results. 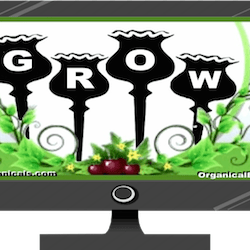 Therefore, it all has to do the Grower’s ‘Intent’, since that will probably dictate the way they go about their ‘Web Search’. Or perhaps, ‘What are Papaver somniferum Poppies‘? ..are much more likely to come across one of many Legitimate Sources (Shown ABOVE) such as the ‘Wikipedia‘ or ‘WSU’s Vegetable Research & Extension Center’ Website. NO! Opium is NOT Legal. PEOPLE REALLY DO SAY THOSE THINGS! But the facts are this. A Schedule II Narcotic is NOT Illegal. It just means they need to be PRESCRIBED by a Licensed Physician. ONLY Schedule I Drugs are Illegal (such as LSD, PCP, Weed, etc). We do NOT Condone the use of anything illegal. That’s right. MANY PEOPLE DIDN’T KNOW THAT YOU CAN ACTUALLY GET A PRESCRIPTION FOR OPIUM, METH, AND EVEN COCAINE! BUT HEY, THAT’S WHY I WRITE THIS, TO CLEAR THE CONFUSION. The reason for referring to the DEA’s Statements above, had to do with all that mumbo jumbo I spoke of in the Green Section about ‘Grower’s ‘Intent’. Remember all that? How “INTENT’ can usually influence how one goes about “Searching” for, and GATHERING, their Info? 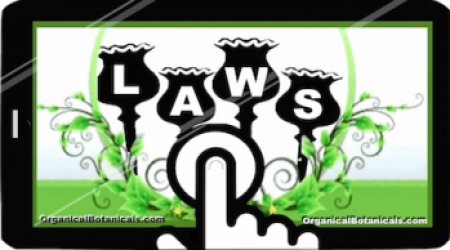 A ‘Druggie’ Gardener who has illicit Intentions, will most likely look up Laws having to do with “Growing Opium”, only to end up at the DEA’s Website which states that “Opium Production’ & Processing ‘Poppy Straw’ is Illegal…bla bla bla”. What the ‘Druggie’ fails to realize though, is that the DEA already Pre-defines the Intentions of the reader due to the very fact that their referring to the poppy in that regard. Because “Opium” and “Poppy Straw” are both terms used in reference to illicit use, or for manufacturing Drugs. SO WHY ELSE DO PEOPLE GROW THEM? U Ask? In my opinion, Somniferum Poppies, have some of the most Exotic blooms, Amazing Colors, and Beautiful Flowers of any kind I’ve Seen. Hi there! I commented on one of your other videos too with questions. This doesn’t concern law, but temperature and your awesome ice method. I live in South Central PA, and I began germination too late in spring. I also didn’t have much info at first, just trial and error. However, Your site has been the most informative by far! Anyway, I have two huge packages of organic culinary seeds that are completely viable. Also picked up some black swan seeds from home Depot! I’m planting in containers– 5 g at the least. Soil is a mix of organic potting soil, peat moss, sand, PERLITE and rocks for drainage. I did mix a handful of cow manure even tho later I read that you do not suggest this. Out of three, One container of two sprouts is surviving on my balcony using the ice method to keep things cool .. the other container was killed because during transplanting I damaged the root system. The second pot, it’s still on my front porch but the sprout looks half eaten/ half wilted. I am using netting so if something did eat it, it must have been insects. I have two more peat pots germinating now inside under a lamp. So I’m going to try to do things right this time.. no cow manure. Also no miracle grow. I did add some of that to the pots. I bought some tomato fertilizer but I’m going to exchange it for guano or what do you think I should get? Please help! If I can get just one plant to mature and flower this season I will be happy. They just don’t seem to be growing fast at all. How often am I supposed to be putting Ice on the netting? I’ve been doing this twice a day: first thing in the morning, and mid after noon. Won’t this method end up drowning my poppies??! They like cool, dry conditions. They are getting cool but the ice does melt. ?? I do not water them using anything else though! ? Ok, did you put any Slug Bait down like SLUGGO? I know, you won’t see them, but they are VERY TINY (not the average Slug) and they match the color of the soil, and only come to feed at night. Also, did you cover the top Layer of Soil with Perlite? THIS IS ABSOLUTELY VITAL!! It not only reflects light back onto your Sprouts (Which require Light), but it also deflects HEAT since it’s WHITE, whereas Soil is DARK. Lastly, it retains moisture from escaping the Soil, AND it will keep little “Moisture loving” critters away from your sprouts since all moisture passes by it, thus repelling any Slugs naturally. Now, the ICE METHOD, is supposed to be a SOLID, Shallow Block of Ice (use a tin Pie Pan or whatever baking Pan you might have that you can add a couple inches of water to). Place it over the Pot so it COVERS the WHOLE diameter of the exposed top of the Pot, so to create a “refrigeration effect“. Yes, it will melt, but it will melt MUCH slower if it’s a SOLID Piece (just a scientific fact), with PERLITE on the top of your Soil to reduce radiant heat. It won’t “drown” your poppies if your Soil is well draining. They need constant moisture when sprouting anyways. I cover this in another Blog Post and in one of the Videos HERE in THIS Post. Regarding your reply to my comment on Reddit, this Article of yours actually does make some sense, but still a very grey area. I guess it just depends on each person’s intent and/or opinion. Thanks for the information, seems I was very misinformed. This is very helpful information!! Of course. We Ship everywhere except Australia. 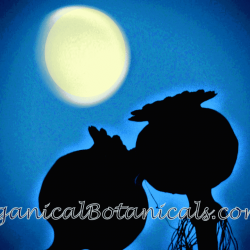 Just go to the main Page: OrganicalBotanicals.com – and once you add items to Cart, continue to Checkout and Select your Country from the Scroll Menu (it may default to the USA – so just select your Country) – Enter address, and Continue. Also, I sent u an Important message on FB. Be sure to check your “Others” Folder at your FB Inbox. Mens rea doesn’t really apply anymore unfortuanately. The only reason for our mention of “Intent” was to help answer the question as to why there is so much Confusion on this matter (of whether or not they are Legal to Grow). Since one’s “intent” directly effects how they go about searching for Information (in regards to their Legality). Which leads to how they go about finding information, and the difference between the two kinds of Opposing (yet reputable) information can be found. We weren’t referring the any Law (i.e. : “Criminal Intent”). In fact I don’t believe we even used the word “Criminal” anywhere in this Post. We were just using the word “Intent” as a Descriptive word, in order to simplify the reason why some people think it’s LEGAL to Grow, and why some think it’s Illegal. We don’t need to display annoying Adds to our Customers. If you want to know how to make extra $$$ look at aDollarSEO.com” for Services to Outsource to or Re-Sell. I don’t need to. Besides, I don’t like to display annoying Ads to my Customers. Where do you live that they have live plants/cut pods for sale? Here in NJ they don’t even sell the seeds in stores. I’m in WA State. But the USA is the USA. But yeah, Papaver Somniferum Poppy Plants and Seeds, aren’t always the easiest to find when trying to buy them in Stores. That’s because they use Alternative Names (aka: Bread seed Poppy, Paeoniflorum, etc) – and that’s if they even Label them!! 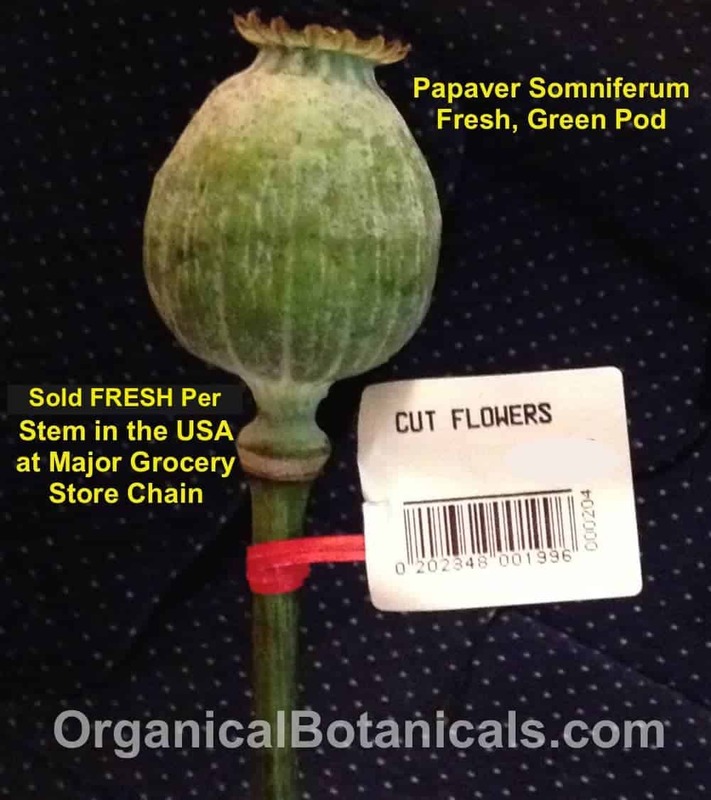 That’s why I included Photos of the Plant Start with the Label that said “Papaver somniferum” in it’s Plant Stake. Because that’s something RARELY seen. But often Sold in Nurseries and Stores across the USA. You might have better Luck at Mom n Pop Nurseries (just refer to them as breadseed poppies). Only problem with that, is you don’t have a way of knowing what you’re going to get. Even on the packaging, they never use photos. If anything, you get a painting or drawing. Hence, how I found my Purpose (this Website). Because of that very fact. These are the most beautiful flowers in the world. And they grow ANYWHERE in the USA. Interesting, thanks for the reply. I’ll have to call around to all of the nurseries and flower shops around here. We have so many in a short distance. Awesome photos. Do you guys sell Framed Poppy Prints? Unfortunately, calling it “Lotion” won’t change the fact that you’re still harvesting and Using it’s “Inner Fluids”. Which, as explained earlier, is NOT LEGAL. You can ONLY Grow them for Decorative Purposes, or Culinary Purposes (harvesting their Seeds or Seed Oils). You STRICTLY cannot Puncture the Plant’s Skin or Grind up Plant Parts (Poppy Straw) to access it’s Innards. I suggest you see a Physician for your ailments. I don’t care what the University of Washington says. I care what US law says. Opium Poppy Control Act of 1942, Sec. 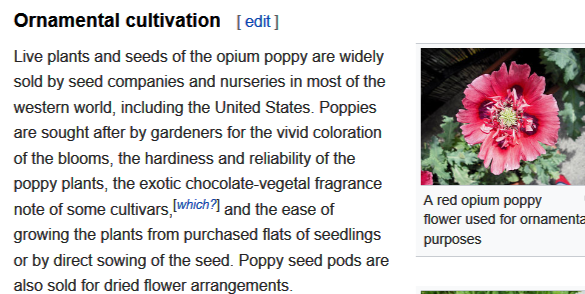 3: “[see wikipedia] The DEA could, if they so chose, press charges against anyone growing opium poppies in their back yard. No gray areas. The law is very clear cut. Recently someone in North Carolina and two separate people in California had their ~0.4 hectare of poppy plants destroyed by law enforcement. I’m not sure if there was any prosecution. A young man in Chicago (I believe he was a boxer) now has a permanent criminal record after a plea deal to avoid jail time for selling poppy STRAW. To suggest to your customers that it is legal to grow Papaver somniferum is simply wrong and frankly disingenuous. Well, you shouldn’t care what it says, however, you SHOULD care what I say. LOL j/k (kidding). -What the difference is, & the misunderstanding behind, growing “Opium Poppies” (or Poppy straw – for illicit purposes)- vs. Growing Papaver Somniferum (for their beauty and/or seeds). This is actually explained below the WSU Post – in the SAME Wikipedia that you “COPY/PASTED” from (maybe??). But that isn’t what explains my point. ALLOW me to simplify. Notice how it says it’s Illegal to grow “OPIUM Poppy”. However, it is NOT illegal to grow ‘Papaver Somniferum’ (and although they may be the same thing, the WORDING itself implies ‘Intent’– and growing them with Illicit Intent, is, in fact, illegal- YOU ARE CORRECT). Also see the photos in this post of Living Plants I’ve purchased EVERY year from MAJOR Grocery Chains!! If there was ANY “Grey Area” that was of any concern, then you wouldn’t be able to Buy Somniferum Seeds online (at places like eBay, Amazon, and this Website- because eCommerce Regulations are much MORE Strict, than Brick and Mortar Marketplaces. Which is why you can’t buy things like Cigarettes online (which are perfectly legal- NO GREY AREA). On a side note, try reading our TERMS regarding Comments/Questions submitted regarding illicit uses – You’ll see how we are very strict with what we allow. Also, you’ll notice, in our actual Listings, there are ZERO implications of illicit purpose, etc – Not even the “O” word. TO BE CLEAR: WE DO NOT CONDONE, ENCOURAGE, OR SUPPORT THE ILLICIT USE OF THE POPPY. WE ARE GARDENERS WHO SUPPORT GARDENERS.